The Detroit Red Wings want to be in the race for the Stanley Cup Playoffs this season, not to win the Cup now, necessarily, but to win the Cup in the future. "The hope is that we can hang in," general manager Ken Holland said. "The longer that we can hang in, I think the better the environment is for everybody -- for the fans, for our players, for especially our young players. "But ultimately, my focus as the manager is probably on this team a little bit down the road. I don't want it to be way down the road, but a little bit down the road." When free agency began July 1, the Red Wings signed goaltender Jonathan Bernier and forward Thomas Vanek, and re-signed defenseman Mike Green. Bernier will share the net with Jimmy Howard, 34, who is in the last year of his contract. The 29-year-old had a 2.85 goals-against average, a .913 save percentage and two shutouts in 37 games with the Colorado Avalanche last season. Green, who has played the past three seasons with Detroit, skates well, moves the puck up to the forwards and buys time for younger defensemen to develop. 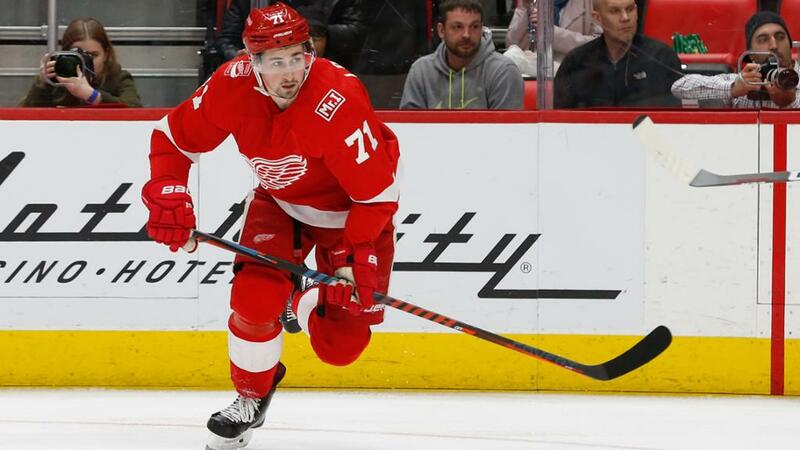 The 32-year-old led the Red Wings in average ice time (22:05) and their defensemen in scoring with 33 points (eight goals, 25 assists) last season. Vanek had 56 points (24 goals, 32 assists) in 80 games with the Vancouver Canucks and Columbus Blue Jackets last season. In 2016-17, the 34-year-old played 48 games with the Red Wings and had 38 points (15 goals, 23 assists) while playing on a line with Andreas Athanasiou. "I've played with [Anthony] Mantha, [Dylan] Larkin and [Athanasiou] before, and I was able to help them," Vanek said. "They are all very good players who just need time, and I think that's going to be true of [Michael] Rasmussen and [Filip] Zadina as well." How does signing three veterans fit into a rebuild? Each player is on a short-term contract -- Bernier for three years, Green for two and Vanek for one -- and there is room for two or three younger players to make the opening roster. After missing the playoffs the past two seasons, the Red Wings' goal is to bring back the winning culture they had when they made the playoffs in 25 consecutive seasons (1991-2016), winning the Cup four times (1997-98, 2002, 2008). But even in a rebuild, the Red Wings don't want to just give jobs to younger players; they want them to earn it. They want them to develop under strong mentors, have a chance to win each night, and slowly take over. "It's important that we've got some veterans around our kids, but at the same time, it's important that our kids are going to get an opportunity," Holland said. "We believe we can make both things happen." 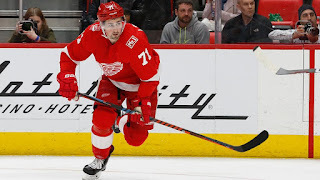 Dylan Larkin is one of those players hoping to step up his game this season. "I want to be the guy," said the 22-year-old, who signed a five-year, $30.5 million contract with Detroit on Friday. "I honestly don't believe in No. 1 centers in the NHL (in terms of labels). Who's the No. 1 center in Toronto? Who's the No. 1 center in Pittsburgh? You've got to have two centers. (But) I want to be the guy that's out there whether we're down by a goal and we need to score with a minute left or we're up by a goal and taking that huge face-off in your (defensive) zone. So just want to be looked at as that, like Pavel Datsyuk and Henrik Zetterberg have for so long in Detroit." Zetterberg's status for this season is in question because of recurring back problems. "I have talked to his agent a number of times over the course of the summer, and I know he's had a tough summer," Holland said regarding the 37-year-old forward, who had back surgery in 2014. "He hasn't been able to train anywhere near close to where he's been able to train past summers due to his back. So there is a real unknown right now with Henrik Zetterberg." The Red Wings will give long looks in the preseason to forwards Zadina, 18, Rasmussen, 19, and Evgeny Svechnikov, 21, and defensemen Joe Hicketts, 22, Dennis Cholowski, 20, and Filip Hronek, 20. "We think we've got lots of kids coming," Holland said. "It's going to take a little bit of time. Have to have some patience. I believe we're headed in the right direction." Ultimately, this season comes down to the younger players. "How good can Rasmussen be?" Holland said. "How good can Zadina be? How good can [Tyler] Bertuzzi be? What does Mantha do this year? "When you're dealing with young people, there's no track record. So if all those young people that I just mentioned can take a little bit of a step, I think that we can be relevant and we can try to hang in a playoff race. If not enough of those players take a step forward and some take a step backward, it's obviously going to affect our ability to compete."